The essence of vacationing in Germany can be described through words such as “enchanting”, “surprising”, “fun”, in the very least. From small towns to great cities, an abundance of forests and mountains, seas and sandy beaches, as well as art and entertainment, you are spoiled for choice here. 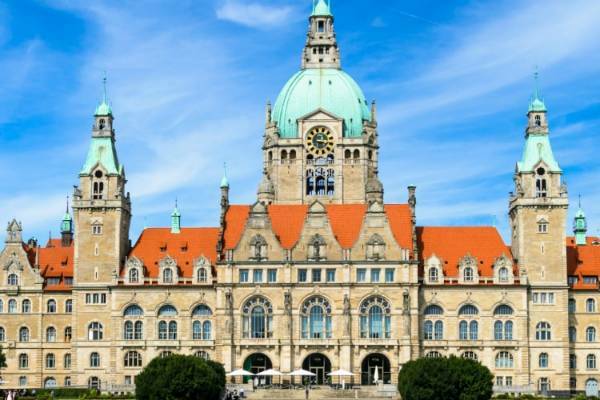 History in Germany is one that portrays feels of greatness and impressive characters. The capital city is Berlin, with its representative Brandenburg Gate in the Mitte district, and the famous Berlin Wall, as well as the Museum Island. The Sanssouci Park, a landmark of Potsdam Rococo, is just amazing, with a Baroque flower garden and over 3000 fruit trees. If you get the chance, rent a last minute holiday home in Germany and go to the old city of Rothenburg, set along the Romantic Road tourist route. You will never forget this place! And in speaking of old towns, one of the best preserved ones in the country is also Bamberg, with a 13th century cathedral and the Old Town Hall atop of a bridge. Simply astounding! Germany is a country of infinitely unique sites, we can all agree on that. Its culture is portrayed in all its cities and their surroundings. In Hamburg there is the Miniatur Wunderland, the largest model railway in the world, with 890 trains. The old port in this city is also worth exploring. The Neuschwanstein Castle is one of the most famous ones in Europe, near the resort of Füssen. Also, a great stop from a holiday villa in Germany would be the Cathedral of St. Peter and St. Mary, Kölner Dom, Cologne's most impressive landmark. The country hosts numerous museums as well, in all its cities, as well as cultural events and festivals such as the Berlin Film Festival, the Carnival in Germany, the Oktoberfest in Munich. Celebrate life with a holiday in Germany! With a last minute holiday apartment in Germany you can choose your favorite region to spend time in. Bavaria has beautiful lakes, forests and the summits of the Alps. The Black Forest is an amazing area, with extensive woods, unique scenery and the typical Schwarzwälder Kirschtorte cake. The East part of the country has numerous architectural and cultural venues, the Rhine Valley is dotted with cathedrals and castles, vineyards and hiking trails. The Ruhr Valley is known for its industrial history, while the North and Baltic Sea offer great beaches. Germany is the birthplace of naturopathic treatments, people here value their health, and thus when on holiday in Germany you get the chance to do the same. There are more than 300 approved health resorts and spas, with thermal springs, seawater and even “health mines”. Try the health resorts at Bad Brueckenau, or at Bad Fuessing, the Organic spa at Hopfen am See / Fuessen, the spa at Bad Sachsa. Each season in this country brings a new special something, from the North and Baltic Sea beaches and the Rugen island you can explore and enjoy in summer to the ski and winter sports resorts such as Zugspitze, Garmisch-Classic, Feldberg Liftverbund, and the famous Christmas markets in the country. A bike ride in the Black Forest area or on the famous Elberadweg from a holiday apartment for May holiday in Germany is an amazing experience, and the visiting of the numerous sites and attractions in great cities, the festivals in autumn are ones that portray fun in a most unique way. Germany is never short of things to see and do, thus in matters of sports and activities you can opt for water sports, swimming, sailing, surfing and diving at the Baltic Sea, or on the Rugen island which is also perfect for families, as well as for cycling and hiking in Bavaria, Harz and the Black Forest. Explore the Rhine Valley by bike or by car, take a road trip to the Wadden Sea, a World Heritage Site, the largest national park in the country with the richest bird life. Enjoy a football game or sports such as paragliding, and of course, the winter sports in Germany. Alpine glaciers and lower mountain ranges turn a last minute winter holiday in Germany into an experience to remember. Zugspitze is the highest point in the country, perfect for skiing, snowboarding on the 20 kilometers of pistes here. The Kreuzeck mountain is another great choice, with the famous Kandahar downhill runs. At Nebelhorn you get also a most stunning panorama of the Alps, and with a group accommodation in Bavaria you can get to the Wallberg mountaintop, with a 6.5 kilometer natural sled run. The apres-ski facilities are great, the atmosphere is fun, it's winter wonderland in Germany! For some, summer is perfect for heading to the mountains, for others, they love the sea. With a holiday villa in Germany for the summer holiday, you get both. Whether it's the sandy beaches and the dunes by the sea, or the Stuttgart Summer Festival with its elegant open-air party, hiking in the Bavarian Alps or a weekend away at the Black Forest with camping, cycling and hiking, you are never short of options in Germany. 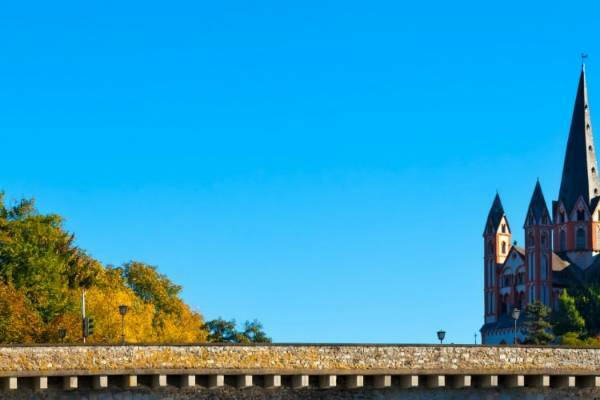 Venture out on the Romantic Road and see beautiful castles, picturesque villages, take part in festivals on the way, explore forgotten sections of countryside, while being backed up by the majestic appearance of the Alps. If it's summer... make it Germany this year! A family holiday in Germany is a beautiful way to celebrate you loved ones. 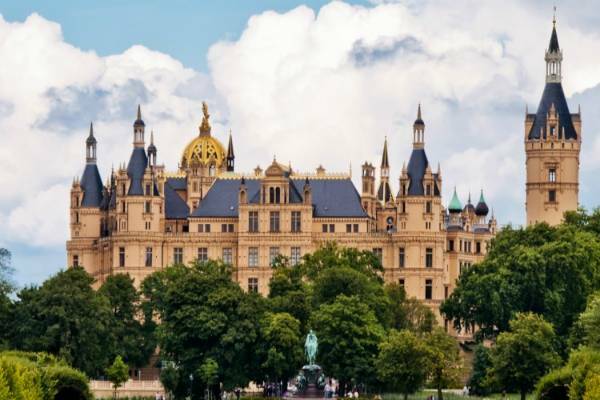 Theme parks such as Europa-Park and Phantasialand with their roller coasters are fun for young and old alike, you can also visit the fairytale castles such as the Schloss Neuschwanstein and Burghausen with your children, leave them truly impressed. If you are here in winter, the German Christmas markets are ones not to be missed, with the mulled wine for the adults and the numerous candy stalls for the little ones. Much wow! Check out the Berlin Zoo if you get the chance, or the Leipzig Zoo, go cycling and walking, go for a picnic or head to the sea for some fun at the beach. It's Germany family time! Dining in Germany - Guten Appetit! Each region in this country has its own specific cuisine, with delicious specialties. You have surely heard of the famous Apfelstrudel, or of the delicious Schnitzel. Enjoying a wurst and a beer in a German pub is a perfect way to "get good with the crowd" or rather to befriend locals, and if you wish to dine at a restaurant that strikes your fancy, try the Reinstoff, or the Facil or the Fischers Fitz in Berlin. Grab a brezel (pretzel) for breakfast, add some Rote grutze (red fruit pudding) next to it, get some Eintopf (stew) or some Kasespatzle (like mac and cheese) for lunch and a fine Kartoffelpuffer (potato pan-fried pancakes) and Sauerbraten (roast) for dinner and you' re set. This country is very much pet-friendly, and when booking a holiday home with pets allowed in Germany, things become increasingly easier. If you are in Munich, the Englischer Garten is an ideal place to take you dog, and to many people's surprise, dogs are allowed even in castles in parts of Germany such as in Bavaria. Small ski resorts like Garmisch Partenkirchen also accept dogs and public transportation with pets is no problem. Experience a holiday to remember in Germany in any season! Over 20 years' experience in the European rental industry. We provide Money-back guarantee for our clients. See our Terms and Conditions. Secure transactions over a 256 bit encrypted connection, security certificate verified by GlobalSign. Sign up for the weekly newsletter from Bungalow.Net and receive our best offers automatically in your e-mail. Also read our privacy en cookie statement.